Outdoor inspired, the Fantasy Jacket offers the technical performance that makes it as comfortable skiing in a blizzard as it is strolling wintery city streets. 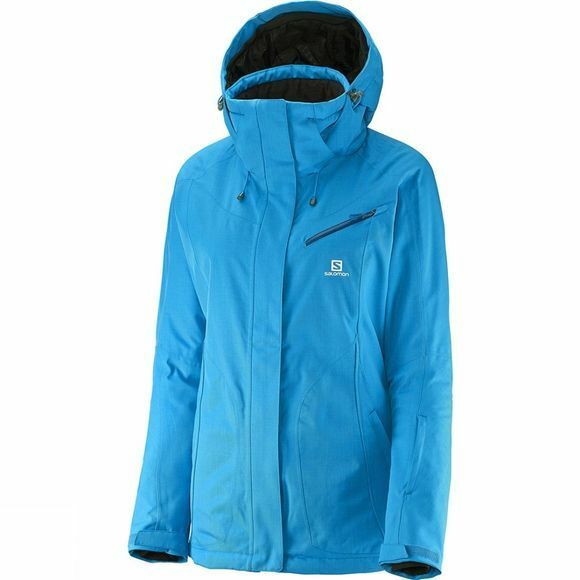 Warm, waterproof and breathable, the Fantasy jacket features Salomon's Advaned Skin Dry and Advanced Skin Warm insulation, for all day comfort. Featuring a flattering women's silhouette and media pocket for even more versatility, the Fantasy Jacket is an essential piece to your winter wardrobe. Advanced Skin Warm Insulation. This Advanced Skin WARM Insulated Technology regulates your Body climate optimal to keep you warm at all times. Fiberfill fibres reflect the warmth of your body and retains heat to feel comfortable and warm, even when the garment is wet or after numerous wash cycles.